Kiseop from U-KISS has been hospitalized after an explosion at a music video set. The singer has suffered 2nd degree burns and was hit with shrapnel. Apparently a smoke machine exploded after it was used in the music video. 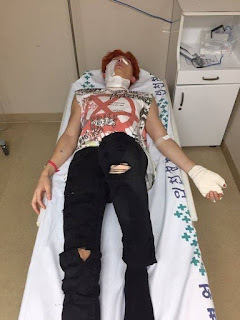 “U-KISS’s Kiseop was injured in an explosion while filming a music video. Currently, he is receiving treatment and resting.